Home/Newsletters/New Year – New Sewing Projects! What’s on, New Year – New Sewing Projects, Dior, Westwood shoes, Annette’s story, Sew Simple and don’t forget The Great British Sewing Bee is back! I know I say it every year but I don’t quite know what happened to 2018, it flew past with lots of sewing creativity and fun with you. I kicked this year off with How to use your overlocker and How to use your sewing machine. Thank you to the lovely ladies who came along and who are now in control and confident with their machines. If you are struggling with your own, or would like to try out a machine, there are plenty of other sessions coming up including some with Jaylaurs in Brigg. 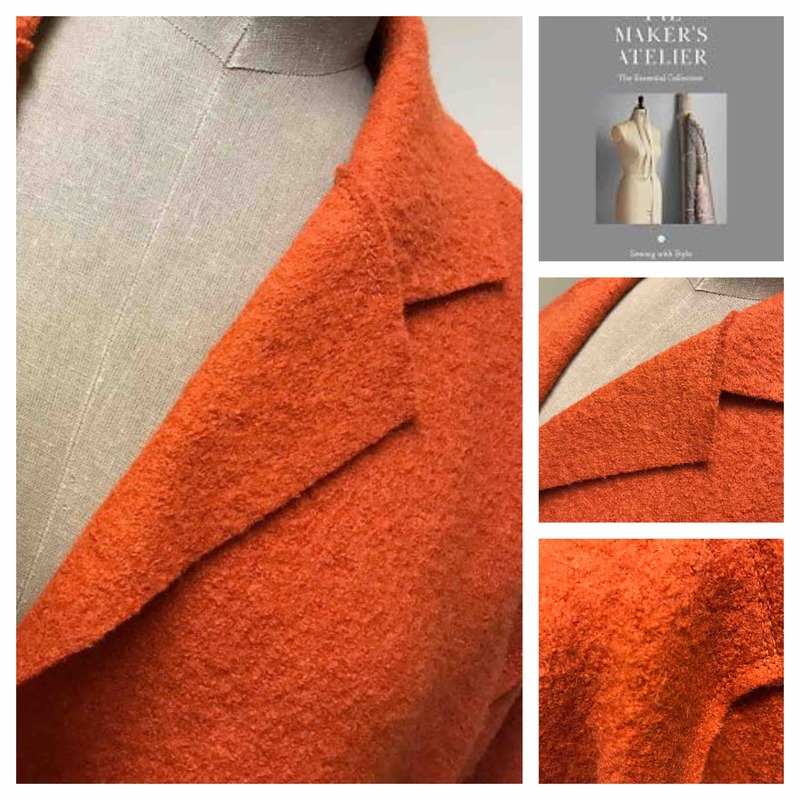 The next one day workshop is the Maker’s Atelier boiled wool coat on 25 January. There are only a couple of places left if you fancy coming along to stitch your own stylish version. If you know anyone who wants to learn dressmaking or if you have had a break and fancy brushing up your skills my four Thursday evening Dressmaking for Beginners course starts on 7 February. 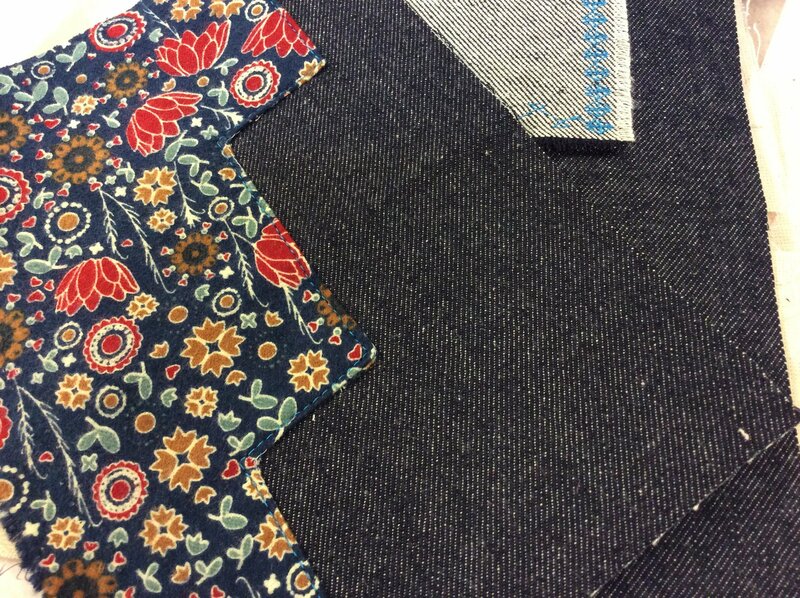 I have a full programme of Sew Short Courses this year with old favourites like pattern cutting, overlocking, sewing with jersey fabric and smocking. I have added some new sewing opportunities with More couture sewing skills, Embellishments using your sewing machine and that tricky problem of how tochoose the most appropriate fabric for your sewing pattern. How to match the fabric surface pattern is also included in this session – mismatched plaid and print is one of my pet hates! click here to download this year’s Sew Short Course Programme. I am looking forward to sewing with you again this year and don’t forget, if you need any advice about your projects just get in touch. 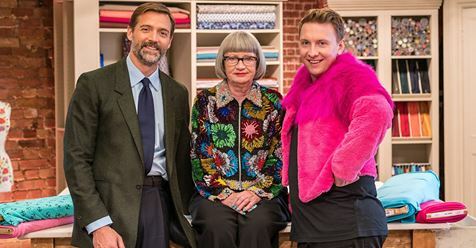 Just a little reminder to close the door, settle in and enjoy series 5 of The Great British Sewing Bee starting on 12 February! The gift of a V&A membership for 2018 ensured I made the time to head down to London. Fashioned from Nature (runs until 27 January) was a sobering insight on the impact of clothing on the plant, not just now but in the past. Balenciaga: shaping fashion was a treat of exquisite design, workmanship and shape. 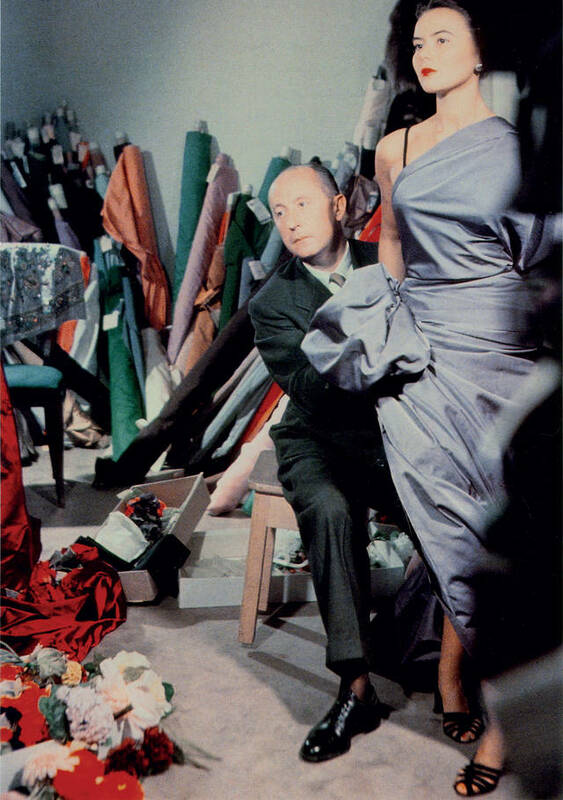 With this year’s membership card ready to go, I will definitely be heading down to see Christian Dior: Designer or Dreams. This largest and most comprehensive exhibition ever staged in the UK spans 1947 to the present day, tracing the history and impact of one of the 20th century’s most influential couturiers, exploring the enduring influence of the fashion house, and Dior’s relationship with Britain. Go to www.vanda.ac.uk for full details. Shoes to perfectly match an outfit are essential and, ladies, whilst my husband may refer to me as ‘Imelda Marcos’ quite unjustifiably, I must admit I am partial to a qwerky shoe. I looked hard for a fashion exhibition ‘up north’ and this one certainly fits the bill. Whilst my budget doesn’t run to Vivienne Westwood there’s no harm in looking! A proficient patchworker and crafter, Annette wanted to further her skills into design and dressmaking so signed up for the JWCT Programme which replaced my City & Guilds courses last September. With a fair amount of trepidation, Annette’s collection of Art Deco pictures quickly inspired her skirt designs. Playing with pencils, pastels, cut paper and a glue stick, she fully embraced my ‘slap it on the paper, it will look amazing’ school of art! 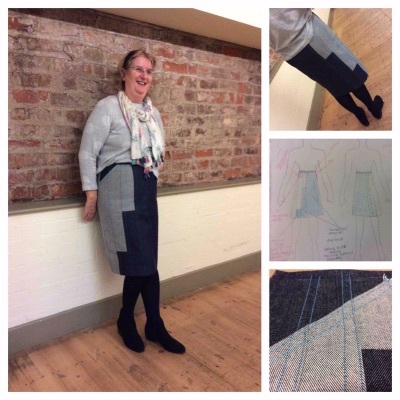 Annette went onto explore fabrics, how to set up her sewing machine for optimum stitching, discovered the delights of an overlocker, and how to sample decorative ideas until the chosen technique emerged. Congratulations on being awarded the Certificate level ‘qualification’ Annette and thank you for your hard work, it has been such a pleasure to work with you and all the other students who have risen to the design and make challenge. Why not go on your own design and make journey with my new Summer School in August or courses starting in September. Go to www.janewhitetuition.co.uk for more information or just get in touch. I often get asked about sewing classes for young people but until now haven’t known where to suggest. However, Janine who runs The Ropewalk’s ST-ART programme has included monthly sewing classes for 10 – 18 year olds in her programme of crafty workshops. If you know a young person who would love to learn to sew, Janine’s fun sessions are a perfect way to get sewing in a friendly group. ontact Janine at The Ropewalk directly for more information and bookings.